Hon’ble Chief Minister of Rajasthan, Vasundhara Raje announced several new initiatives for startups of Rajasthan at Digifest 2017 which was a two days event held at UIT Auditorium, Kota. Vasundhara Raje announced a Rs 500-crore fund for promotion of startups of Rajasthan and also he announced a new incubation centre in Jaipur with the name Bhamashah Techno Hub. ‘Rajasthan Digifest 2017’, an event was organised here by the state’s Department of Information Technology (DoIT) was mainly for startups of Rajasthan and all the tech enthusiasts. More than 700 teams participated in the hackathon held at Digifest 2017 from cities like Bangalore, Hyderabad, Chennai, Lucknow, Chandigarh, Ahmedabad and other. Out of these 700+ teams, 3 start-ups were awarded projects worth Rs 35 lakh and a chance to work with the Government of Rajasthan. CM Raje also said that the project is most likely to cross Rs 1 crore in the future. This is an integrated Startup Platform which acts as an online system which will be a seamless platform for the startups and the Angel Funds and Venture Capitals. I-Start is the first of its type in India. Startup Rajasthan is a flagship initiative by the Government of Rajasthan intended to foster innovation, create jobs and facilitate investment in startups of Rajasthan. The program aims to nurture innovation and entrepreneurship which would further help in the economic growth and development of the state. Through this initiative, the State Government intends to build an environment where there would be an easy access to knowledge exchange and funding. A one stop solution for StartUps, Incubators and VCs for ease of doing business and assessing all benefits and offers by the Government of Rajasthan. Help StartUps to be discovered by relevant stakeholders. Need funding or mentoring? No more an issue. We help you connect with investors, accelerators and incubators. Helping investors, accelerators and incubators discover curated, high-potential startups. Programs to help startups improve their chances of success. Content, workshops and resources to help entrepreneurs. Government of Rajasthan invites youth for ‘Challenge for Change’. By partnering with the Government of Rajasthan, you would be playing a direct role in empowering Rajasthan to be the Digital-sthan of the country. The youth, working professionals or start-up entrepreneurs can come forward with their own innovative and creative ideas or take up projects offered by the government to bring the change. The youth of the country has the potential and can add fresh perspective to the initiatives undertaken by the government. The idea is to implement an integrated IT architecture creating applications and platforms while capturing various functionalities to improve efficiency, transparency and outreach of e-governance. “One who is willing to create such technological interface to improve delivery of various services shall be sanctioned works contracts worth up to Rs 1 crore”, said Hon’ble Chief Minister Rajasthan Smt Vasundhara Raje at Rajasthan IT Day, March 21st 2017. Moreover, the government will even waive off conditions like prior experience, turnover, etc., for these works contracts. The vision of Government of Rajasthan says, ‘Be The Change’. Rajasthan Stack is a set of APIs which lets the governments, startups, developers and businesses to utilize the unique digital infrastructure to resolve the issues/problems that the state of Rajasthan is currently facing towards paperless, presence-less and cashless service delivery. PAPERLESS LAYER – The digital records follow any individual’s digital identity and hence, it removes the need of any paper usage or storage. PRESENCE – LESS LAYER – Digital Biometric identity allows the residents to avail any service from anywhere in the state. CASHLESS LAYER – A Single user interface which lets the residents to make financial transactions all across the country without worrying about cash availability. CONSENT LAYER – It allows the individual’s data to flow securely and freely to democratize the data market. The program has 3 key components to help startups of Rajasthan increase their chances of success, and of getting funded. A detailed scorecard and assessment report for startups. 1 month boot-camp for select startups to help refine their product, strategy, business plans and investor pitch deck. 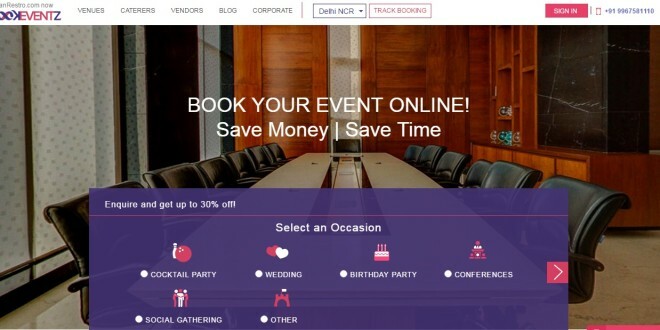 Investor Connect: Showcase of curated startups to investors, accelerators and incubators. Business Readiness Scorecard for Startups – Startup Scorecard provides entrepreneurs a detailed assessment report on their startup’s potential and investment worthiness. Much like a health check-up report from a diagnostic lab helps you identity problem areas and take corrective action to improve your health, the scorecard and assessment report provides startup founders actionable insights to help them strengthen their business plans, and improve their chances of getting funded. A 2-day workshop to get a sharper understanding of different aspects of building a business. Based on the assessment report, a detailed action plan will be worked out for each startup on what they need to get improve their chances of success, and guidance on how they can achieve it. Weekly review with our team to assess progress on the milestones set, and the assessment report indicators. Demo Day: Every quarter we will have an online Demo Day where top startups of that quarter will be showcased to qualified investors, accelerators and incubators. Post the Demo Day, investors will be connected to the startups they are interested in. Road Show: Once every quarter we will select high-potential startups to Delhi, Mumbai and Bangalore where they will present to an invited audience of investors and potential customers. We look forward to all these initiatives by Government of Rajasthan and how these will help startups of Rajasthan to grow. Previous Get Ready To Participate In The Biggest Healthcare Challenge Of 2017! 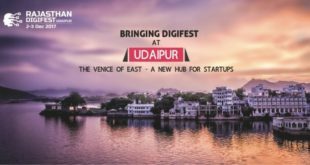 Next Udaipur, are you ready for the third edition of Hackathon, Come to Digifest Udaipur!